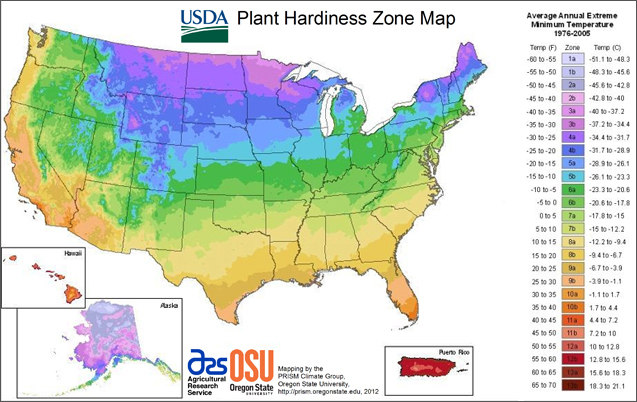 The USDA Plant Hardiness Zone Map, the standard by which gardeners and growers can determine which plants are most likely to thrive at a specific geographical location, has been updated for 2012. The map is based on the average annual minimum winter temperature, divided into 10-degree F zones. Below is the USDA map — click on it to make it a bit larger. Here’s the full interactive map.